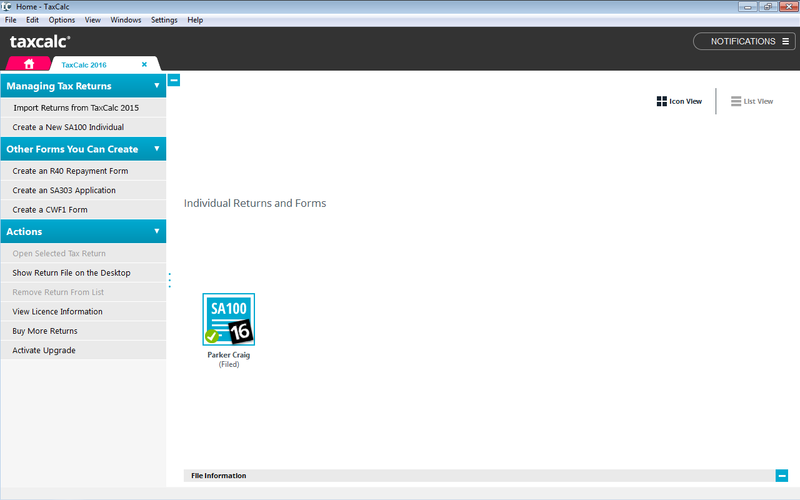 File your Individual tax returns the easy way. TaxCalc Self Assessment software is trusted by tens of thousands of people to complete and file their tax returns every year. Award-winning and officially-recognised by HMRC, it’s incredibly simple to use and comes with smart tools to power through your return quickly and accurately. With TaxCalc 2019 Individual you’ll find everything you need to speed through your tax return. In fact, many of our customers sort their tax with TaxCalc in under 30 minutes. Your browser does not support this video format - please consider updating. 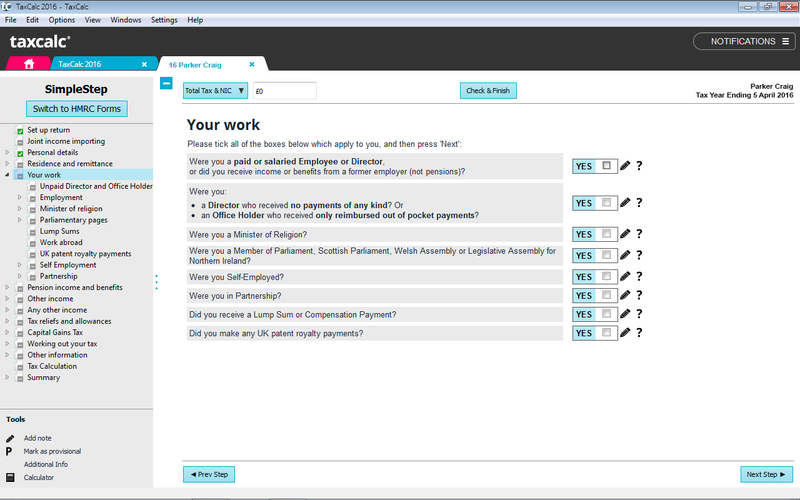 SimpleStep® fast-forwards you to the parts of the tax return form you need to complete – there’s no trying to figure out if you should be completing a section. TaxCalc tells you. Check and Finish error-checking feature tells you if information is missing, doesn’t tally up and lets you know when you’re good to go. Need to claim for a company car? Not a UK resident? No problem! TaxCalc covers off a wide range of tax scenarios. Familiarise yourself with our software. Watch our short videos to see how easy it is to use. Super affordable software from the Digital Tax People. With prices starting at just £31.00, TaxCalc simply ticks all the boxes. Simple is smart. Smart is simple. Our software may be packed with clever stuff, but the really big idea behind TaxCalc is simplicity. guides you every step of the way. Asking questions as you go along, it whizzes you to the parts of the return that are only relevant to you – saving time and any confusion. help you make the right choices and tick all the right boxes while continually calculating your tax, so you always know how much you need to pay or are owed. 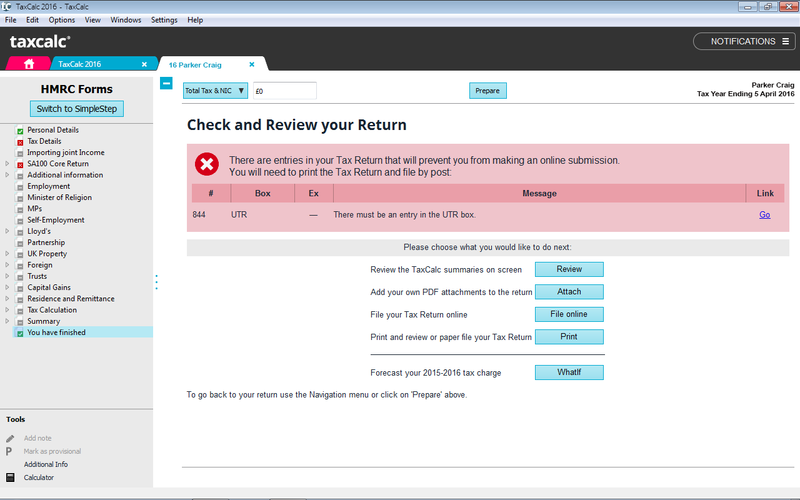 TaxCalc 2019 comes with six returns. And all for £31. acts as a second pair of expert eyes, making sure what you’ve entered is correct and makes sense to you and HMRC. 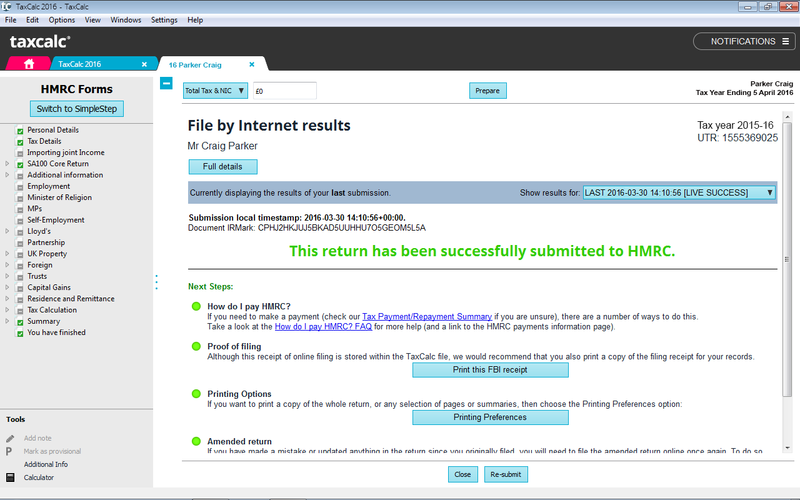 we work closely with HMRC to make sure TaxCalc is fully updated for the current tax year. Minister of Religion? Member of Parliament? No matter what your tax affairs, TaxCalc can file it. to cover the bases we’ve included a number of other forms you might need, including R40 Repayment and the SA303 Reduction of Payments on Account forms – and more. Need to upgrade or expand? it’s easy to upgrade TaxCalc 2019 to TaxCalc Partnership, Corporation and Trusts. For the full spec, please see below. to make light work of your tax return. If you have a Trust and need to file a single SA900 Trust tax return, this add-on provides you with the form for easy, on-screen completion and online filing. Income received from the Trust can be imported directly into the SA100 Individual tax return. Make the entry of dividend data a snap with this database of FTSE350 and AIM listed dividend data for the 2018-19 tax year. Bring forward your shareholdings from your 2017-18 tax return and TaxCalc Dividend Database will do the rest. 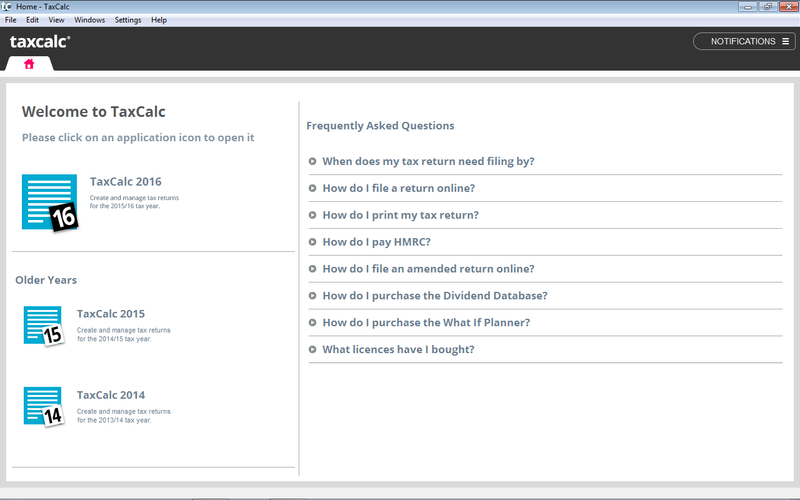 The questions below provide immediate answers to many aspects of TaxCalc Individual. Yes. TaxCalc will run on any 64 bit kernal 3.10 (or higher), Debian (e.g. Ubuntu) or Redhat based distributions. Yes. TaxCalc operates a full self-service website and you can easily upgrade your licence of TaxCalc Individual to another product that provides for additional tax returns. To add an SA800 Partnership tax return, please visit our TaxCalc Partnership pages. 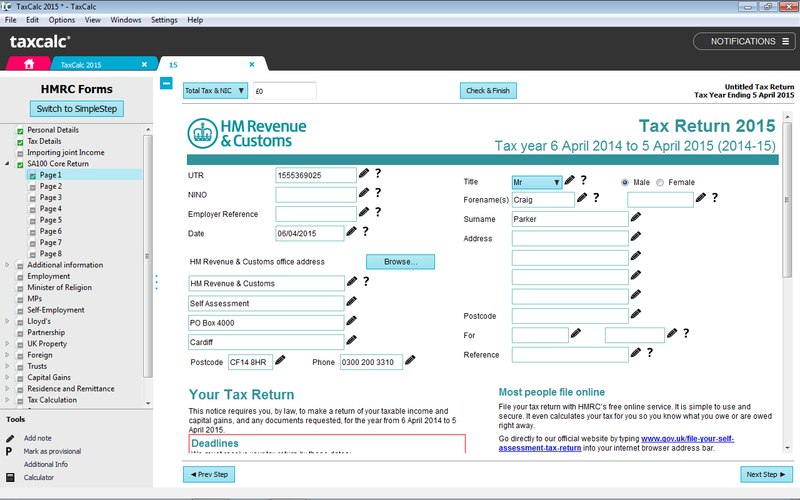 To add a CT600 Corporation Tax return, please visit our TaxCalc Limited Company pages. If you cannot find the product you are looking for, please call us on 0345 5190 883 or email sales@taxcalc.com. I install TaxCalc Individual onto? For your convenience, TaxCalc Individual may be installed on up to two computers. Please select from the options below to build your TaxCalc Individual order. Prepare up to six SA100 Individual tax returns for you and your family for the 2018-19 tax year. Includes all non-resident and other supplementary pages. This add-on provides a database of dividends of FTSE350 and AIM listed companies for the 2018-19 tax year. The database is released in June each year to include dividends paid up to the end of the previous tax year. Prepare up to six SA100 Individual tax returns for you and your family for the 2017-18 tax year. Includes all non-resident and other supplementary pages. This add-on provides a database of dividends of FTSE350 and AIM listed companies for the 2017-18 tax year. The database is released in June each year to include dividends paid up to the end of the previous tax year. Prepare up to six SA100 Individual tax returns for you and your family for the 2016-17 tax year. Includes all non-resident and other supplementary pages. This add-on provides a database of dividends of FTSE350 and AIM listed companies for the 2016-17 tax year. The database is released in June each year to include dividends paid up to the end of the previous tax year. Prepare up to six SA100 Individual tax returns for you and your family for the 2015-16 tax year. Includes all non-resident and other supplementary pages. This add-on provides a database of dividends of FTSE350 and AIM listed companies for the 2015-16 tax year. The database is released in June each year to include dividends paid up to the end of the previous tax year. Prepare up to six SA100 Individual tax returns for you and your family for the 2014-15 tax year. Includes all non-resident and other supplementary pages. This add-on provides a database of dividends of FTSE350 and AIM listed companies for the 2014-15 tax year. The database is released in June each year to include dividends paid up to the end of the previous tax year. Prepare up to six SA100 Individual tax returns for you and your family for the 2013-14 tax year. Includes all non-resident and other supplementary pages. Prepare up to six SA100 Individual tax returns for you and your family for the 2012-13 tax year. VAT will be calculated in accordance with the country where this software will be used. This will be confirmed during your purchase.